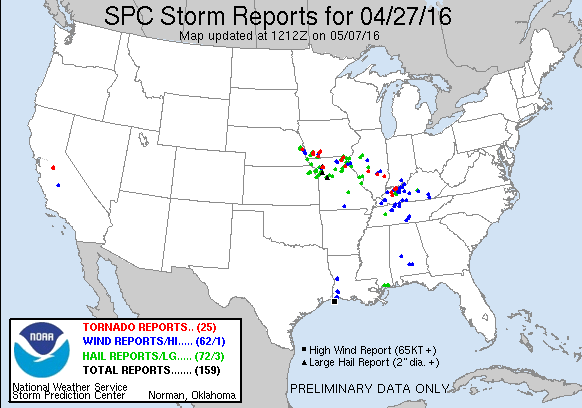 Massive convective overturning from the night before threw any substantial chances at severe weather out the window. 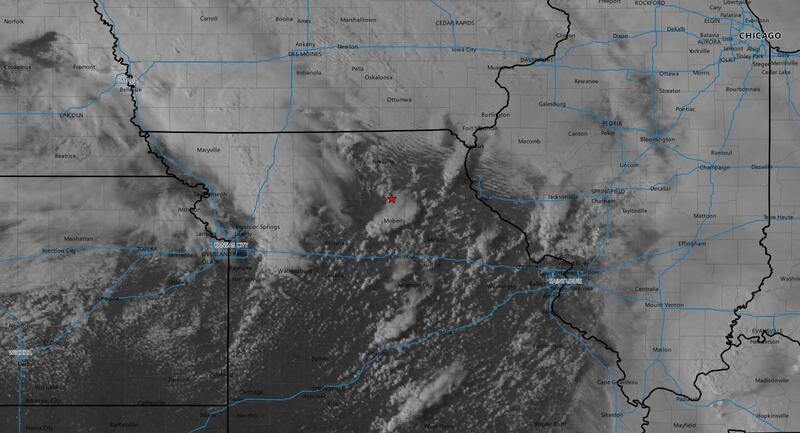 A large cloud deck covered the entire area early in the morning, but as afternoon wore on a clear slot formed across Western Missouri. We moved east to take advantage of the clearing where temperatures rose into the mid-70s and dewpoints edged into the 60s. We arrived in Kirksville just before 19z as the SPC issued a mesoscale discussion for the area indicating a possibility for tornadoes in NE Missouri later. Meanwhile, back to our west, storms had fired up along the pacific cold front and a squall line was quickly under way. 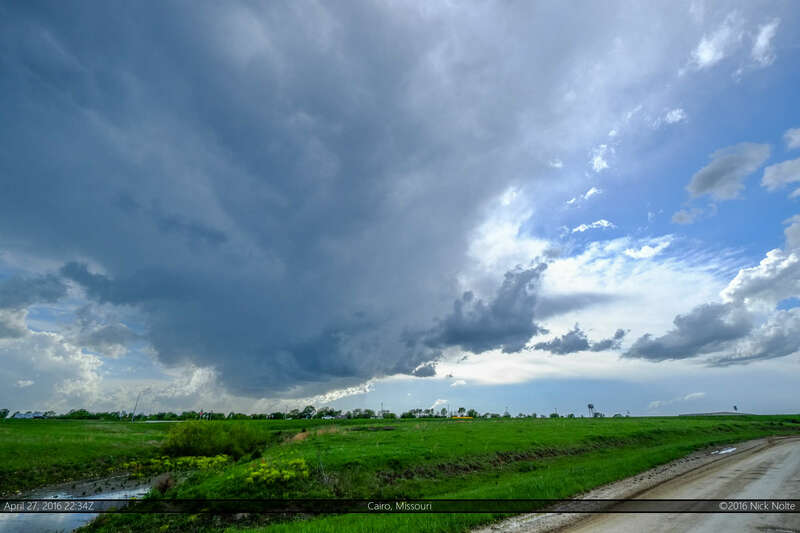 We continued to hold position in Kirksville hoping for a pre-frontal storm to chase. 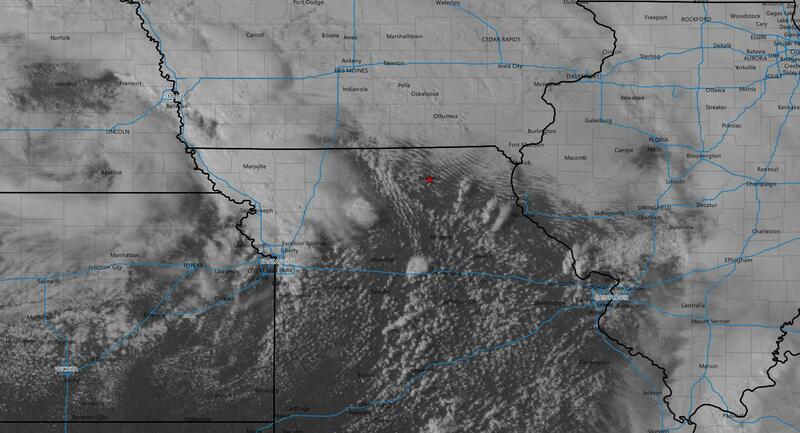 Of particular interest on visible satellite was the developing cell to our south near the I-70 corridor. 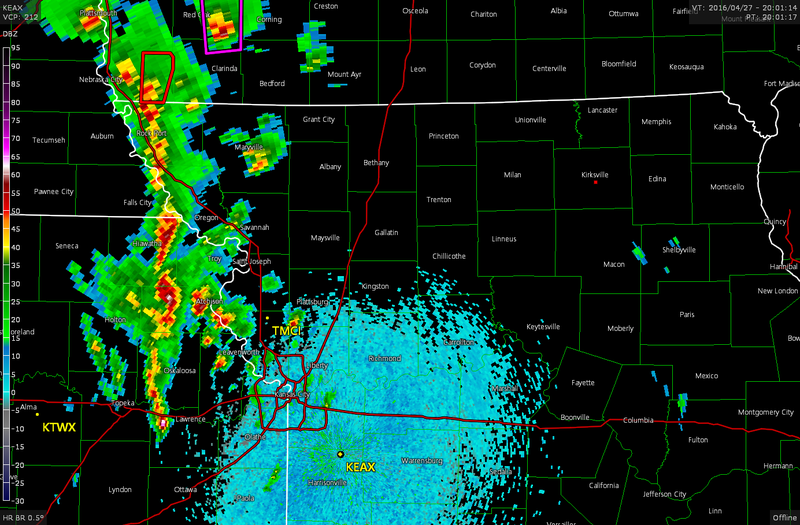 Much to our surprise, the SPC did actually issue a tornado watch for our area despite the slim chances. 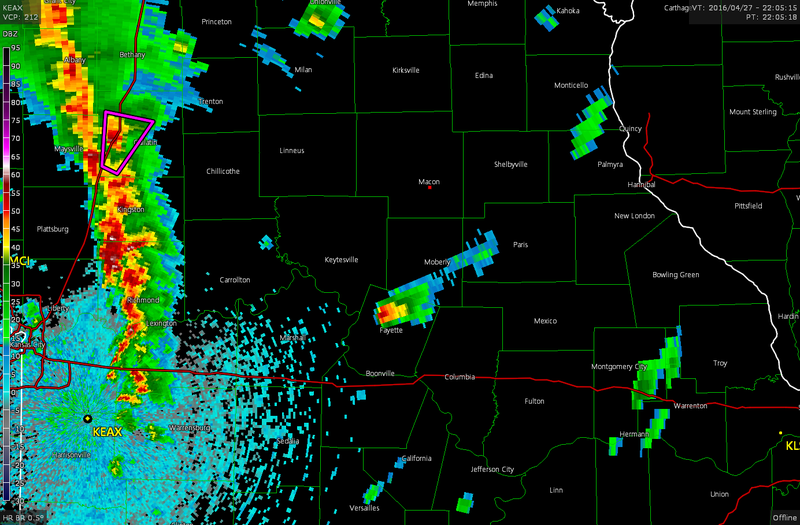 We held out at Kirksville for another couple of hours watching the cell to the south develop. 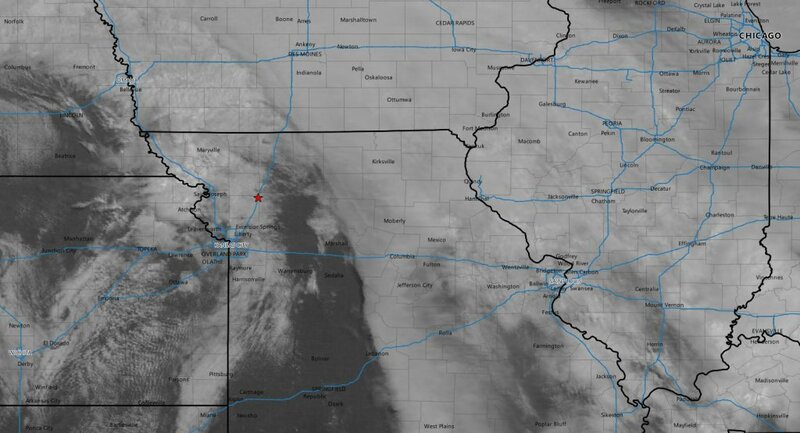 It looked pretty substantial on visible satellite, but it’s radar signature left a lot to be desired. 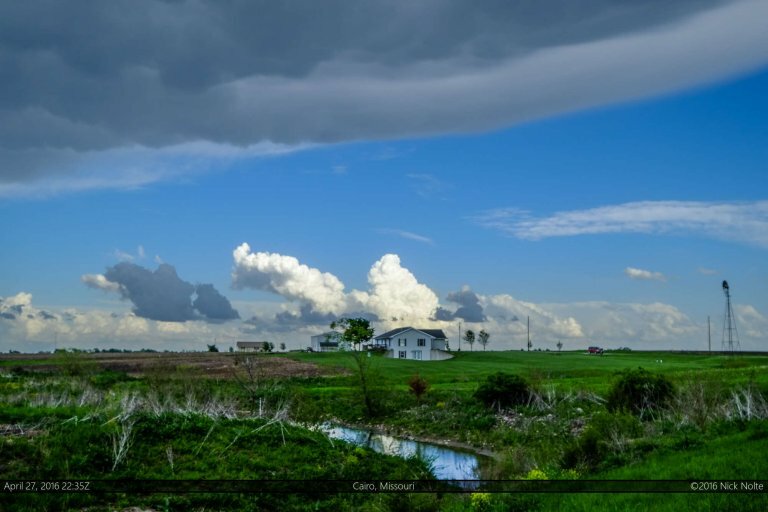 We intercepted the storm near Cairo and it had a very small updraft base which indicated to us that it probably wouldn’t be hanging around for too long. 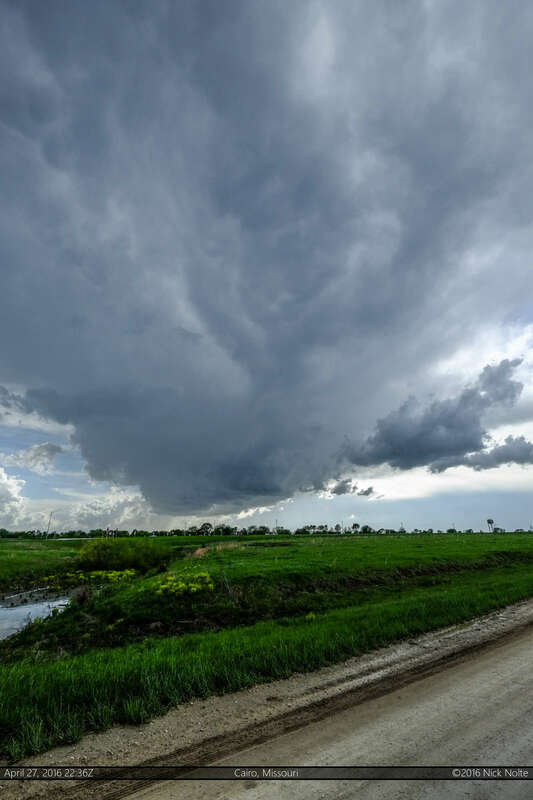 We stuck with this for a little while, then hopped on a storm immediately to the west. It became clear none of this pre-frontal stuff was going to do anything. Mesoanalysis showed a meager 10 kts of 0-1km shear, so it appeared that the lack of low level dynamics were preventing the storms from doing much. So, we called the chase and started back towards Wichita, knowing we had a long drive to get in position for a southern Oklahoma play the following day.